4-Piece Bed Sheet Set Just $19.99! Down From $100! PLUS FREE Shipping! You are here: Home / Instagram / 4-Piece Bed Sheet Set Just $19.99! Down From $100! PLUS FREE Shipping! For a limited time only! Tanga is currently offering this 4-Piece Bed Sheet Set for just $19.99 down from $99.99 PLUS FREE shipping! 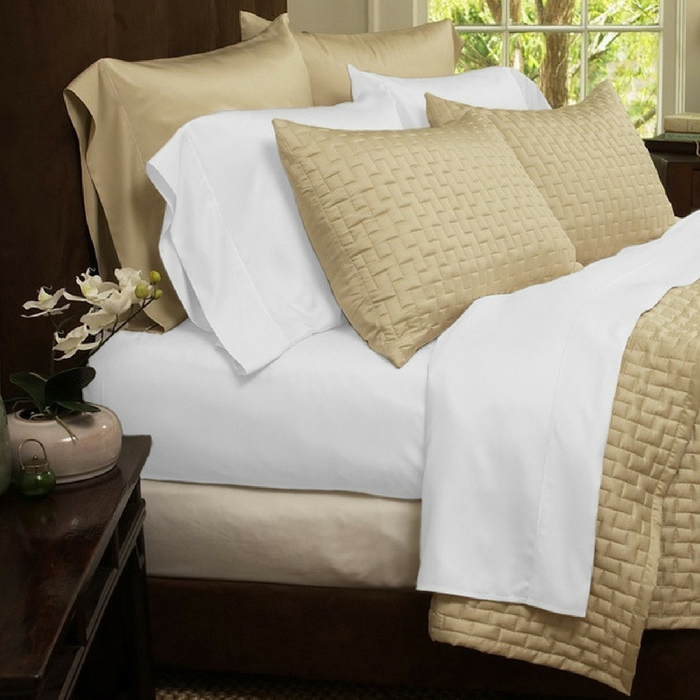 With comfort and style, this 4-Piece Bamboo Fiber Bed Sheet Set is a great fit for any bedroom. Bamboo sheets keep you warm in winter and cool in summer, due to bamboo fibers’ inherent thermal-regulating properties. They are softer than 1,000-threat-count Egyptian cotton, yet one-third the cost, and are odor-resistant and good for the environment. Your room will look great with the attractive silken luster. And the choice of vibrant colors will be sure to match any room decor. Bring them home today, and indulge in the comfort and warmth night after night.